Wide World of Esports: Heat World Challenge, Pro Invitational, and PEAK Series Driver Dale Jr.? Dale Jr.: Road to Pro? Former eNASCAR PEAK Antifreeze iRacing Series driver (oh, and 26-time Monster Energy NASCAR Cup Series race winner and two-time Xfinity Series champ) Dale Earnhardt Jr. hasn’t competed at the top level in a few years, but did he tease a return to the PEAK iRacing Series? With the buzz around NASCAR eSports, NFL quarterback AJ McCarron and musician Tim Dugger expressed interest in throwing their hats (well, helmets and cowboy hats) in the ring. Hopefully I will be announcing some exciting news with @iRacing & the the eNascar PEAK Antifreeze series in the next couple of days!! 👀😳🤫🤪 #NewTeam?? eNASCAR PEAK Antifreeze iRacing Series rookie Eric J. Smith pulled off the upset of upsets Tuesday at Auto Club Speedway, winning his first career race as an undrafted independent racer in a thrilling finish. On an eNASCAR PEAK Antifreeze iRacing Series off-week, the real-world stars come out to play. Tonight, 15 pros — 14 racers and a pro football player — take to Martinsville Speedway for 100 laps of action in NASCAR Gander Outdoors Truck Series-style trucks. Rising NASCAR stars Noah Gragson, Christopher Bell, John Hunter Nemechek, Justin Haley, Todd Gilliland, and plenty of others will join Chicago Bears guard and PEAK iRacing Series team owner Kyle Long for a big pile of bragging rights in the eNASCAR Gander Outdoors 100 iRacing Pro Invitational (9 p.m. ET, eNASCAR.com). Don't miss the eNASCAR @GanderOutdoors 100 iRacing Pro Invitational streaming LIVE tomorrow night on https://t.co/5RMZf0JYr5! 🎮: @Ky1eLong, @NoahGragson, @CBellRacing and more! It appears Hattori Racing has turned their weekly iRacing sessions into a weekly fixture. Austin Hill practiced his bump-and-run for tonight’s eNASCAR Gander Outdoors iRacing Pro Invitational, too. The heat is still on for drivers that didn’t land a ride in the Heat Pro League — the NASCAR Heat World Challenge has launched. Racers will compete in a four-week series of events, leading up to the World Finals Sunday, May 5 at Charlotte Motor Speedway for the top five weekly drivers on each console. I’m really pumped to get the #eNASCARHeat Pro League going, but man I’m jealous that I can’t participate in the NASCAR Heat World Challenge. Race against the worlds best starting today so you can win awesome prizes and be the best! Want to race like Rowdy? Of course you do. 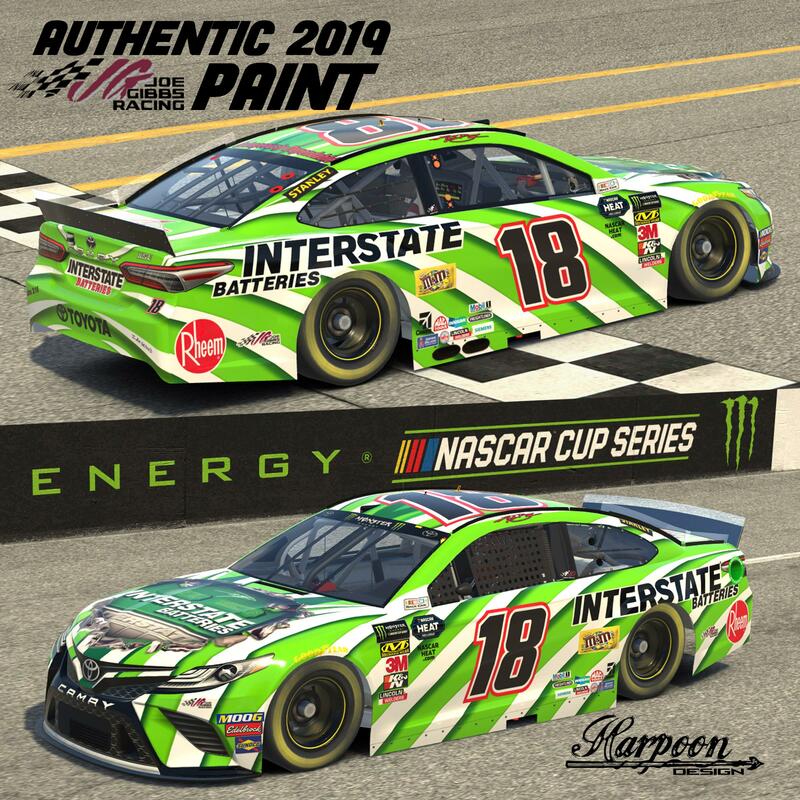 Brantley Roden created a pixel-perfect rendition of Kyle Busch’s Interstate Batteries Toyota Camry that cruised to Busch’s 200th NASCAR victory Sunday at Auto Club Speedway. 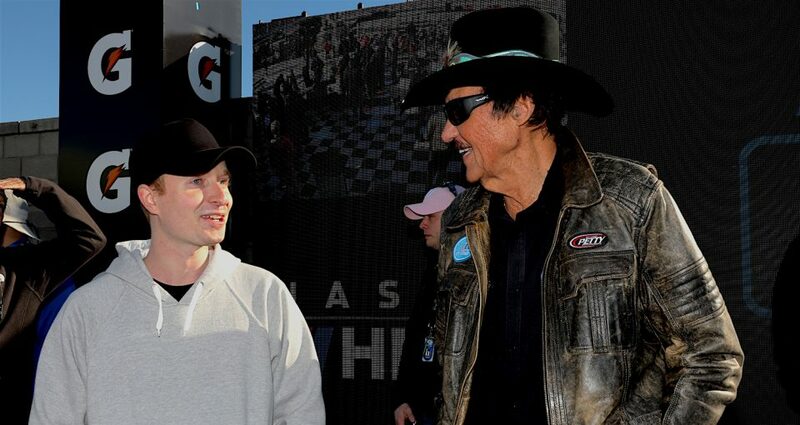 Chip Ganassi Racing shared a video detailing the No. 1 Heat Pro League draft pick Greg Matarazzo’s day at ISM Raceway. COPYRIGHT 2019 eNASCAR. ALL RIGHTS RESERVED. eNASCAR.com is a part of the NASCAR Digital Media Network.